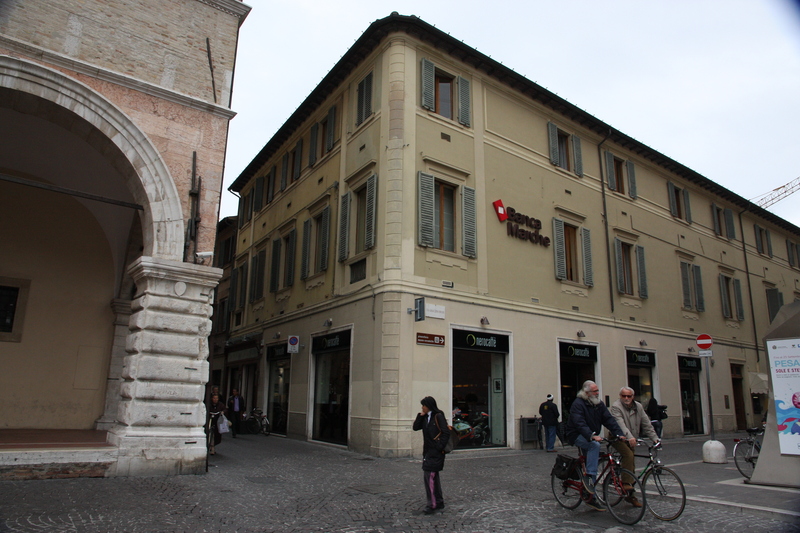 My two favorite bars in Pesaro for drinking a cappuccino are Nerocaffè, located in the main piazza, and Bar Astra, located at the entrance to the centro storico. Nerocaffè opened last December and has since become a very popular hangout. The interior design is beautiful—all blacks and purples and copper. It’s like a trendy New York City café, adding some needed glamour to Pesaro’s piazza. The staff is friendly and efficient, the pastries are fresh, and the cappuccinos are amazing. The selection of aperitivi is also top-notch. 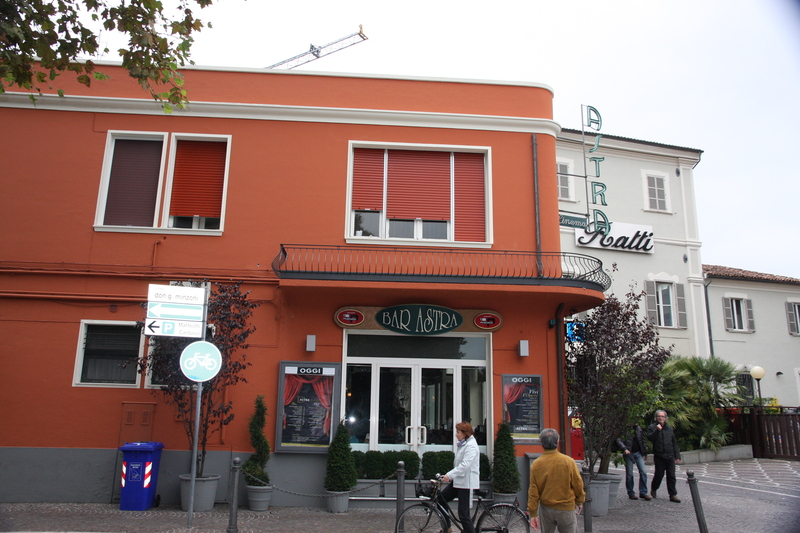 And yet, I still have an affinity for Bar Astra, the first bar we frequented when we moved to Pesaro. Bar Astra also houses a movie theater, and in the summer of 2009, they revamped the building, making it much more chic and elegant. They also added a gelateria section near the cash register, which significantly upped the business, especially during the summer months. The gelato isn’t the best in the city, but they serve a generous portion for 1.50 euros. Another bonus: you can add minutes to your cell phone here. The friendly staff, delicious cappuccinos, diverse pastries and generous aperitivi all receive an A. Still, it’s tough to pick a favorite. If I’m going for the quality of the cappuccinos, I’d say they’re equal. Both Bar Astra and Nerocaffè make creamy—but not too frothy—cappuccinos and the coffee is strong, but not bitter. In another post, I’ll talk about the criteria for judging a great cappuccino. Stay tuned! Bar Astra vs. Nerocaffè. Winner? A tie. This entry was posted in cappuccinos, coffee, Italy and tagged aperitivi, bar, Bar Astra, cappuccino, centro storico, coffee, gelateria, gelato, Nerocaffe, Pesaro. Bookmark the permalink. Drool….I am missing good quality coffee, that’s for sure! They really don’t have that here. There is coffee everywhere, but bless their hearts, they have no clue what they’re doing! It’s not cheap either.